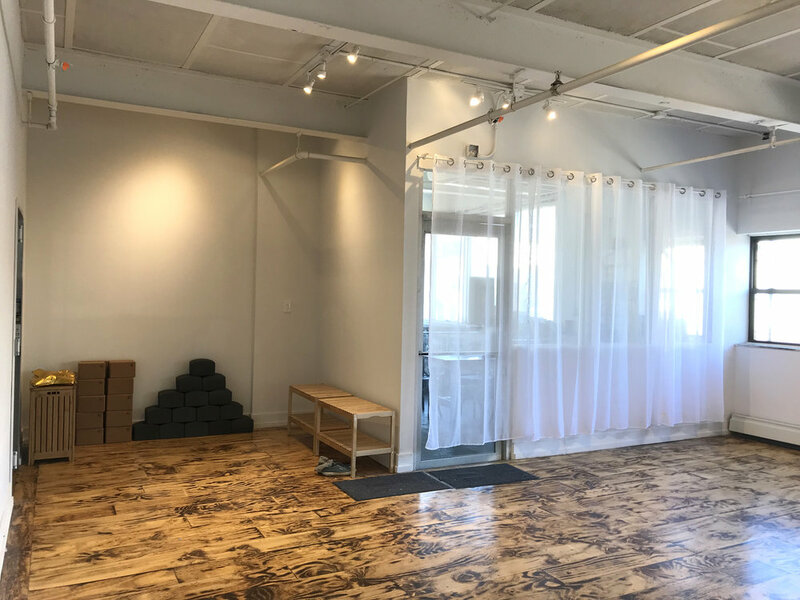 Our studio was custom build with passion and the intention of providing a comfortable, clean and peaceful environment for our students. 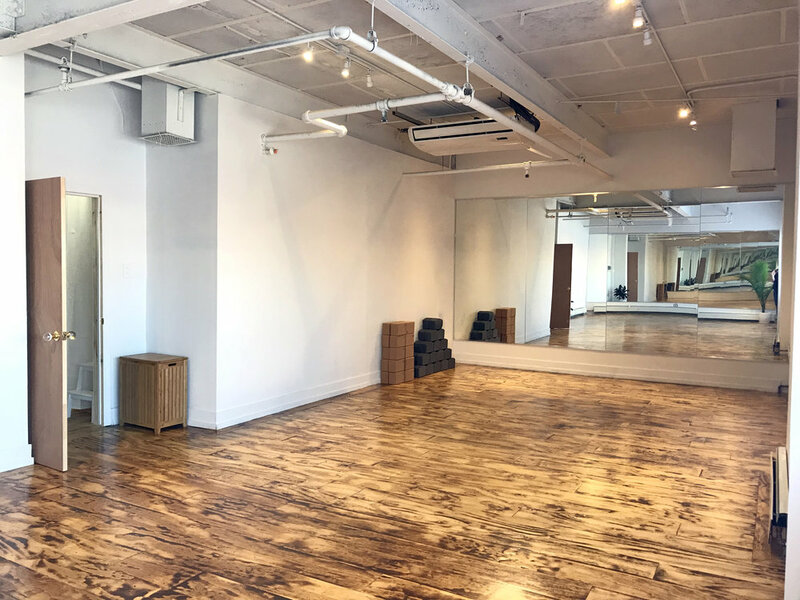 We have two practice rooms, allowing for more variety in classes and practice experiences. 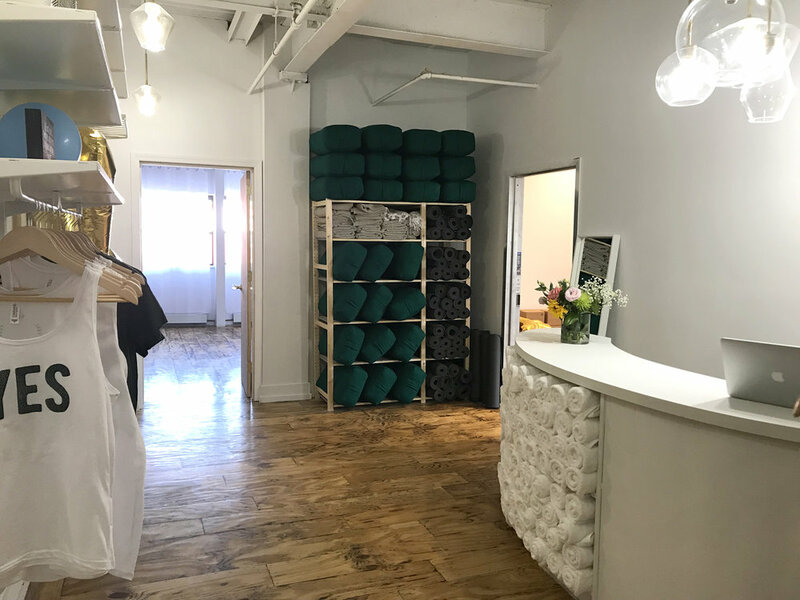 Leave all expectations behind, and feel at ease knowing we have everything you need to feel right at home in your practice. 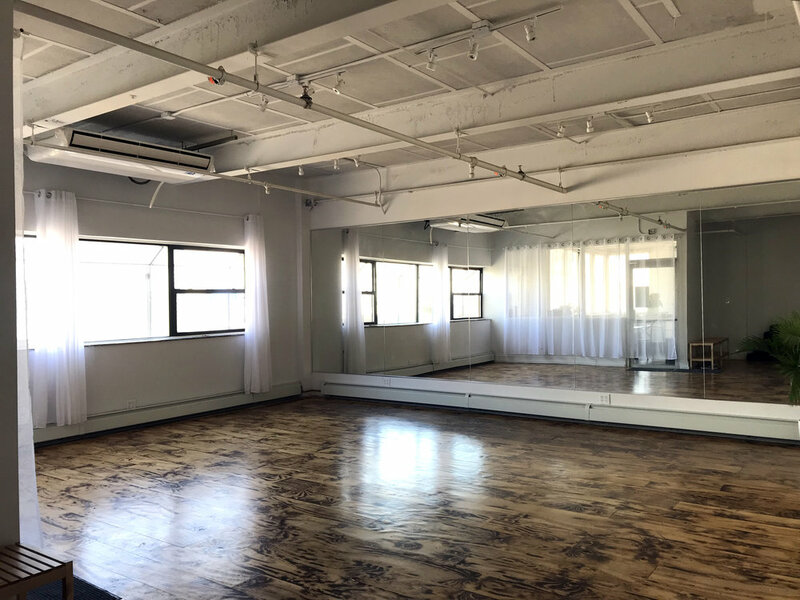 Our classes are each labeled to the degree we heat the room (72 or 85 degrees), however the temperature may vary from class to class as the humidity levels change. If taking a warmer class, we recommend hydrating before practice and/or bring a water bottle with you. Option to bring your own towel (you will sweat!) or rent one from us for added ease. 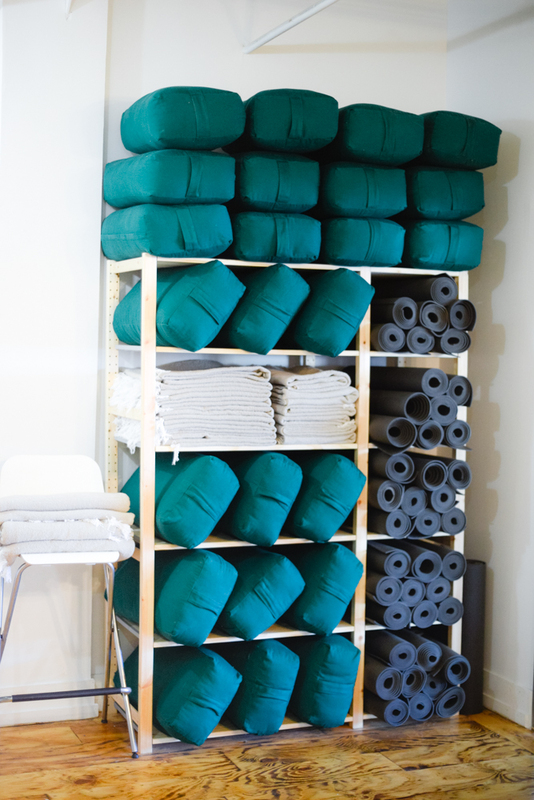 If it's your very first class at YES, the mats and towels are on us. 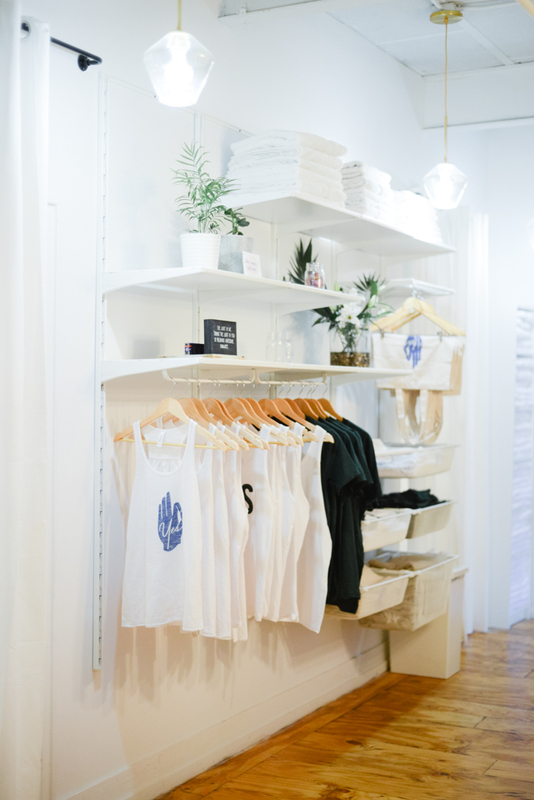 Towels + Mats are available to rent upon arrival. Our students are encouraged to use the locker room with which they identify. Each of our sinks have a water filtration system attached, of you can fill up any time you need. 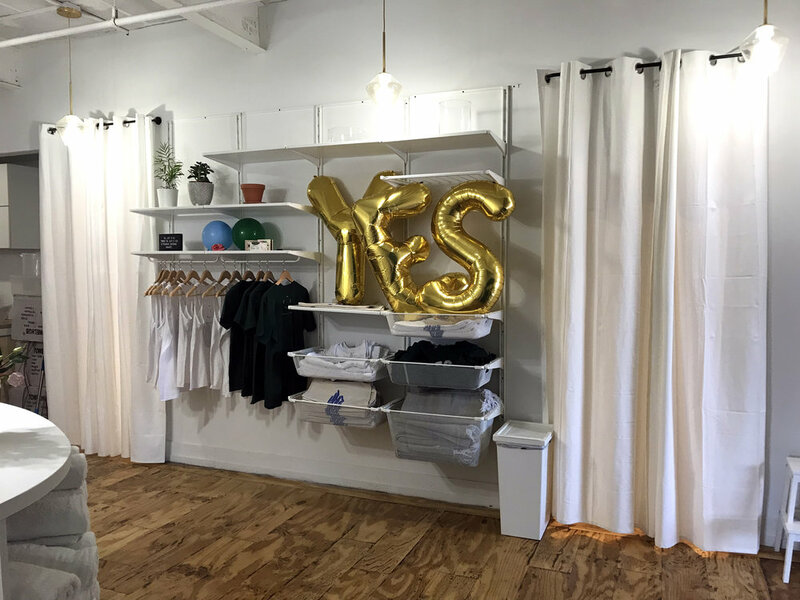 Find YES on the second floor of Rockwall Studios - the entrance is through the cafe, 1080 Brew, and up the stairs. 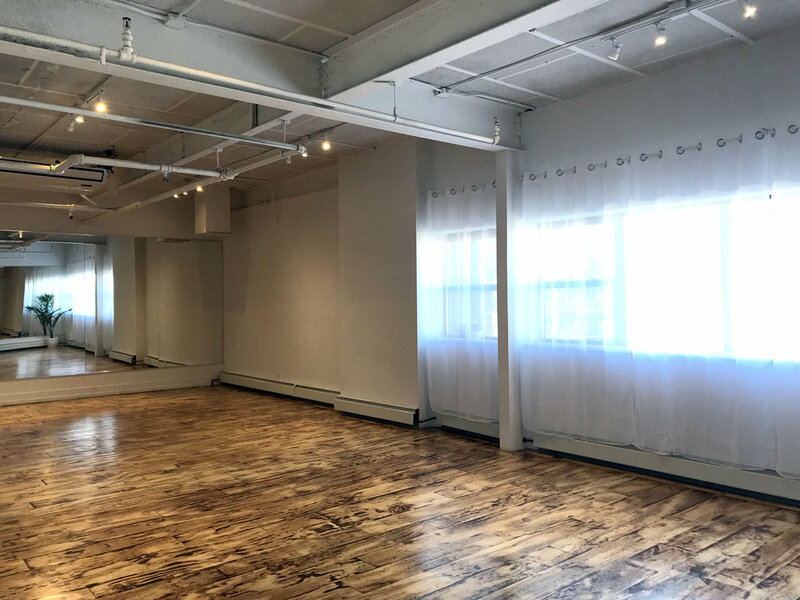 Our building is located in the friendly neighborhood of Ridgewood, Queens, and Rockwall Studios also includes artist studios, co-working space and a rock climbing wall!